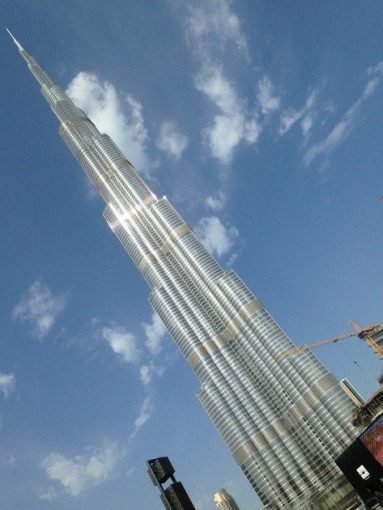 The Burj Khalifa, Dubai’s iconic high-rise had been teasing me since I arrived in the city. My first jaw-dropping glimpse of the elegant spire was fleeting as I passed by on the journey from the airport. The next day it shimmered in the sunshine, stretching skywards, as we passed it on the way to old Dubai. At night it flirted with us as it winked and sparkled over the city. 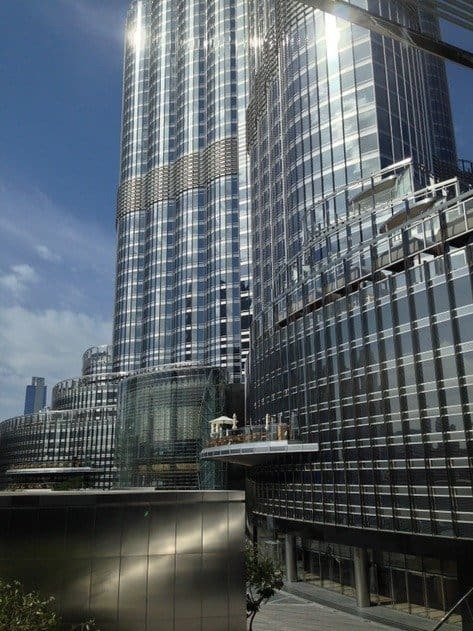 The Burj Khalifa really has a lot of love for itself. For two days it taunted, tantalised and beckoned until, finally, the day arrived to get up close and personal. Skyscrapers don’t come any taller than The Burj Khalifa and as we arrived I craned my neck and looked up, and up, and up as it loomed over me but the top was way out of sight. 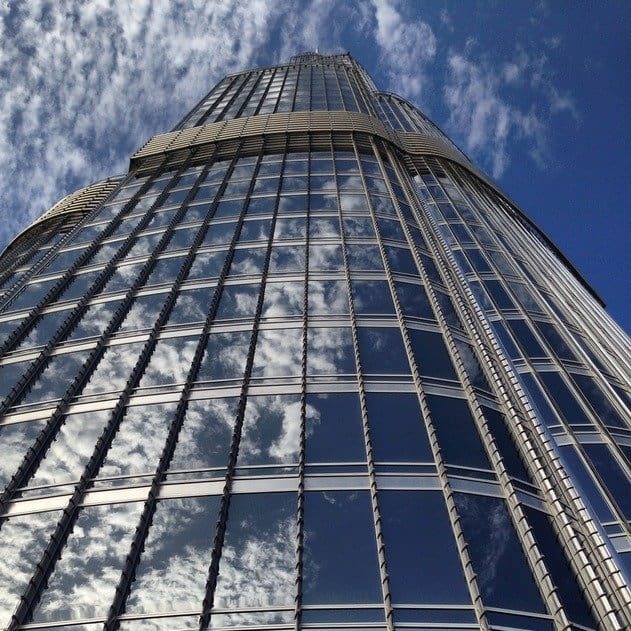 Soaring high into the sky above Dubai at 830 metres to the tip it’s the world’s tallest building. 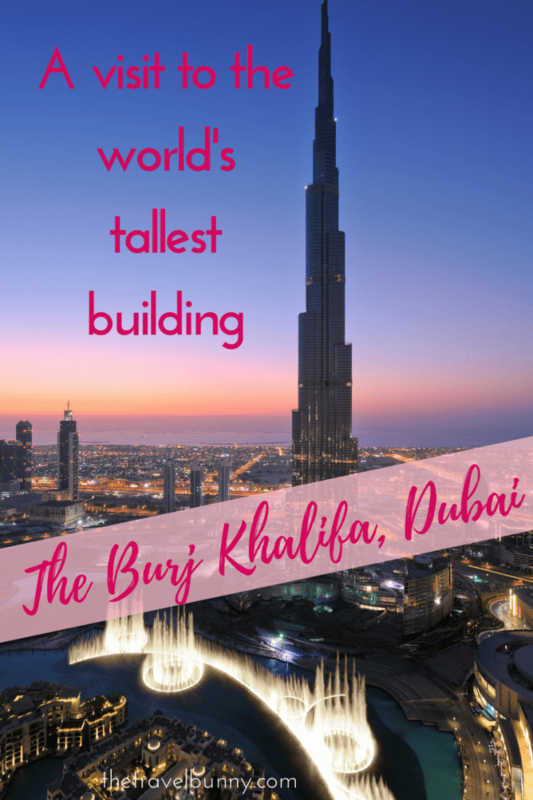 I love looking down on the world from way up high so when I discovered that a visit to ‘At the Top’ of Burj Khalifa was on our Dubai itinerary I was more than a little excited. Inside as we waited in the reception area on the lower ground level of Dubai Mall we checked out a model of Burj Khalifa and some of the facts detailed on the base. The tip of the spire can be seen from 95 km away; the weight of the empty building is 500,000 tonnes and the building opened in January 2010 after taking six years to complete. There are a stomach-churning 162 floors. The tower was designed by architect Adrian Smith and engineer William Baker. Security is tight and large bags need to be stored on arrival and collected on the way out. Our smaller bags and cameras were scanned and we stepped through a scanner, like at the airport. After this we made our way to one of the lifts along corridors lined with graphics, construction information, photographs and facts. We stepped inside the elevator, the doors swished shut, and as we began to ascend so did the excitement. The floor numbers clocked up faster and faster as the lift rocketed up at 10 metres per second. It’s one of the world’s fastest. At floor 90 my ears popped and the drama accelerated; patterns of light flashed around the walls and the music intensified before we smoothed to a halt, the doors opened and light flooded in. We stepped out onto the observation deck known as ‘At the Top’. We were on floor 124 of Burj Khalifa the tallest building on the planet. The windows are floor to ceiling and as it was a day clear day the panoramas over the city were mesmerising and I soaked up the sky high 360-degree views of Dubai, the Arabian Gulf and beyond. 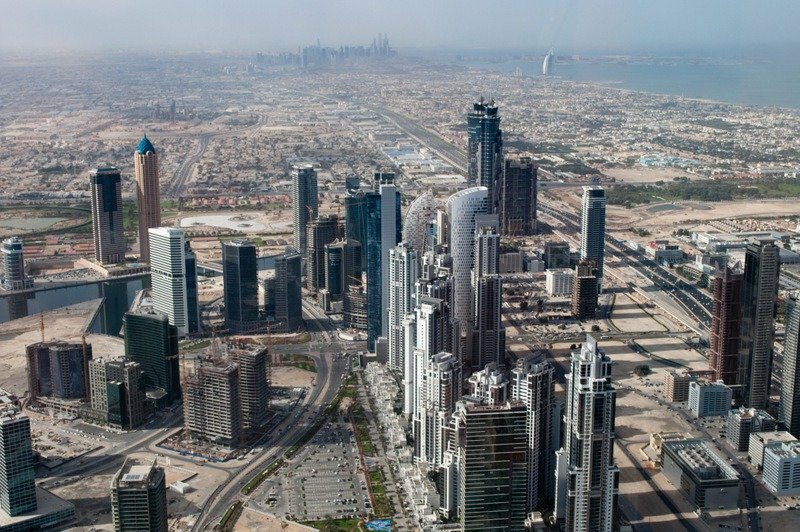 The high-rise buildings that we craned our necks to see from the ground looked like miniature Lego buildings from above. A network of roads transported ant-like cars and in the distance I could pick out The Burj al Arab, Jumeira Beach and the World Islands. I walked the full perimeter taking photos and just gazing – I could have stayed all day. At some of the windows are moveable telescopes which offer more detail on LCD screens. 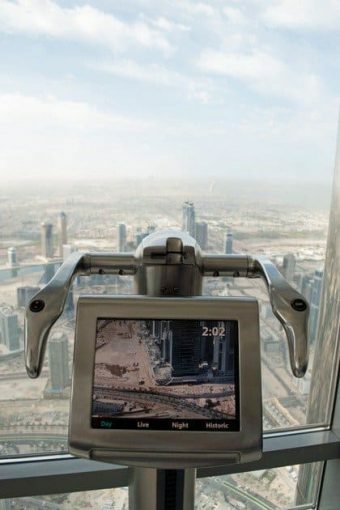 The high-tech devices can zoom in and switch to a pre-recorded version so the user can see what the view looks like on a clear day, or at night no matter what the weather outside is doing. There’s also a history button which shows how the landscape looked before it was built on. We had really clear views for our 10 am visit but you might like to book for late afternoon to take in sunset. This way you’d get views in the daylight, as the sun goes down and then another perspective as the city lights up at dusk. Three different types of view in one visit although prime time is more expensive. Also you’re in the right place to watch the Dubai Fountain. 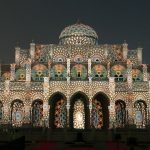 It’s the world’s largest choreographed fountain system, accompanied by classical and contemporary music and illuminated by 6,600 lights and 25 coloured projectors. At 275 m (902 ft) long it shoots water up to 152.4 m (500 ft) into the air and is visible from all around the promenade – evening performances take place daily 6 pm – 11 pm every 30 minutes. We stayed about 1.5 hours which was plenty of time to soak up the views before heading to Dubai Mall to explore. Buses run along Sheikh Zayed Road, the Red Line metro stops here, and a free shuttle runs from most major hotels. Taxi’s in Dubai are reasonably priced. Signs told us that all sessions for the next day were fully booked. I’d advise you book on-line as far in advance as you can – it’s also cheaper than paying on the day if there’s availability. 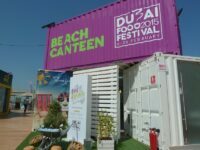 Before 15:30 and after 19:30 the cost is 125 Dirhams (around £22) for adults, 95 Dirhams for children between 4 and 12, and is free for infants under 4. For prime times i.e. 16:00 – 19:00 hrs the cost goes up to 200 Dirhams for adults and 160 for children aged between 4 and 12 – under 4 years go free. For fast-track tickets it’ll cost 300 Dirhams. The entire ‘At the Top’ experience is wheelchair friendly but for those who might need to rest often there are no sitting areas. 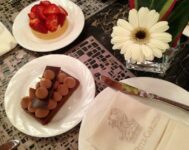 Disclosure: Many thanks to Dubai Tourism and The Ritz-Carlton Dubai who kindly hosted my visit to Dubai. Opinions and views, sky-high in this case, are entirely my own. I’ve taken your advice and booked my tickets for late afternoon to enjoy the sunset and the fountains for my trip in a few weeks. 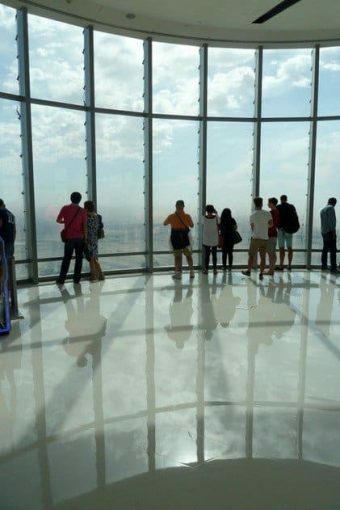 Is there a bar or a café on the same level as the observation deck? I don’t think there’s a bar and I don’t remember seeing a cafe. 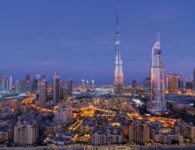 The Burj is right by Dubai Mall which has loads of eateries although not sure you’ll be able to buy alcohol – you’d probably need to be in a hotel or restaurant for that… Which hotel did you go for in the end? We got a good deal at a Downtown hotel called the Oberoi. I’d never heard of them before, but they’re a luxury Indian hotel chain. There’s a rooftop pool and they serve alcohol so should be nice! Fab – Oberoi is a good brand and good central location. The Sofitel has a good pool terrace with great views of the Burj Khalifa at night. Looking forward to hearing about your trip. Enjoy! Wow the views are incredible! I love your photos 🙂 thanks for all the booking tips. That’s so true – it is like being up in the clouds! I do like a tall building, so know I’d love this place. Did you prefer it to the Shard? In your top photo, is that a different city you can see in the distance? It’s all Dubai which is connected by one long highway. 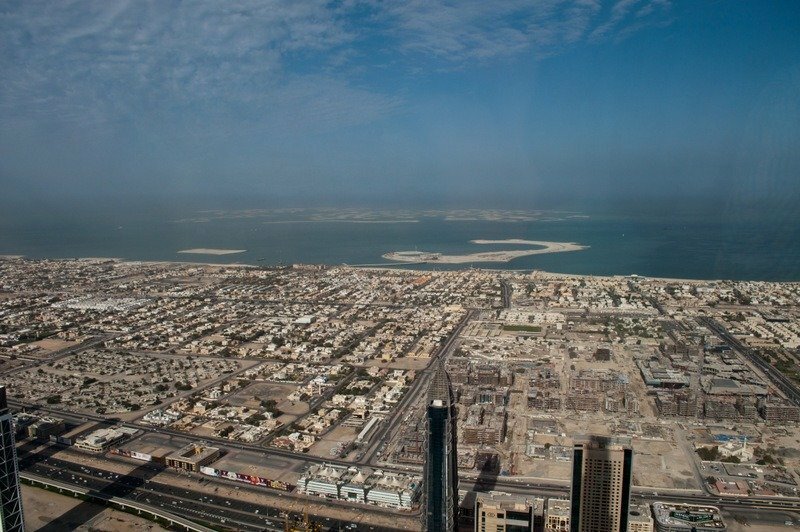 The part you can see in the distance is where we were staying, Jumeira Beach, near the Marina. I think the views were more interesting from The Shard! Spectacular images Suzanne! I would have suffered altitude sickness at that height! 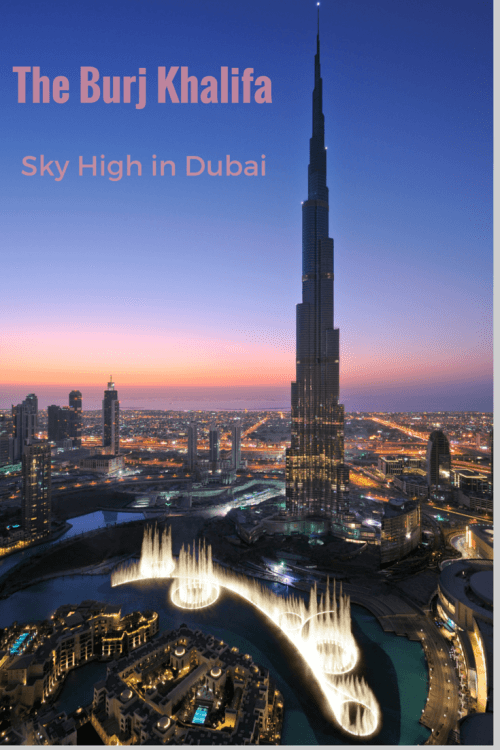 🙂 We haven’t been to Dubai in over a decade although we fly Emirates quite often. Seriously considering a stopover this year. Thanks Madhu – there’s an even high level that you can go to, floor 148 I think but floor 124 was quite high enough for me! Wow, you are so brave to go all the way up! I had the chance to do it last year, but I’m terrified of heights! 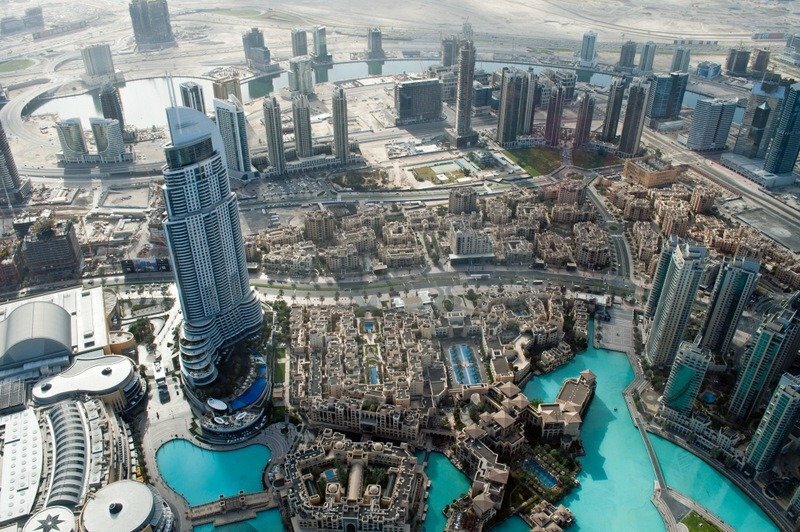 The view from the top looks fantastic, and what a great place to watch the Dubai fountain! The 3rd photo is fabulous! Dubai is so versatile…it’s the perfect destination for all types of travelers.